LG’s not going to restrict its recently acquired WebOS operating system to televisions, and wants to bring the software to one of the hottest tech trends around at the moment – the smartwatch. The news comes after the company put up a new website, encouraging developers to embrace WebOS for wearables, and advertising a soon to be released software development kit. WebOS began life on Palm’s smartphones, where it won many admirers, but suffered after HP acquired Palm, and became the great-mobile-OS-that-never-stood-a-chance. LG took it off HP’s hands with the intention of using it for a new range of smart televisions. It did well too, with LG selling a million WebOS smart TVs in just three months. Presumably buoyed by this response, LG’s now looking to make the most of WebOS, by re-introducing it to the industry where it was born. LG already makes smart watches, and is an early adopter of Google’s Android Wear operating system, so why would it want to introduce another option? It could be because of Samsung’s use of Tizen – its own in-house OS, suitable for everything from phones to cameras – which is installed on the majority of its Gear smart watches. The exception is the Gear Live, which uses Android Wear. The WebOS smartwatch developer page, which has since been removed from LG’s website, gave little away. 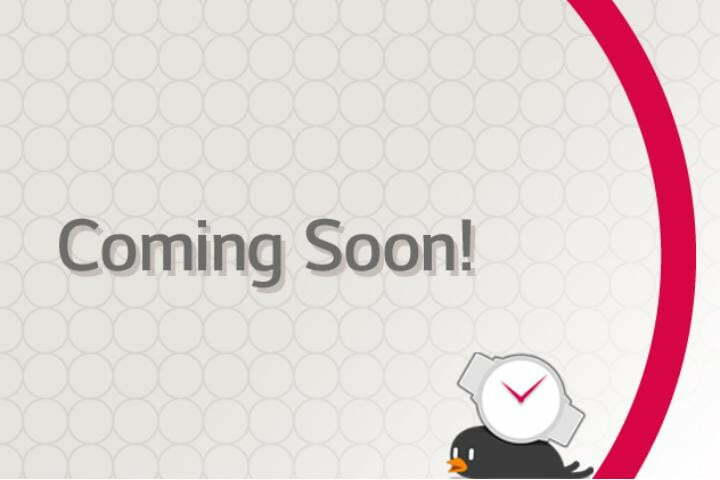 The image you see to the right shows LG’s own WebOS “Bean Bird” avian mascot being slightly squashed by an analog watch. It’s obviously early days, and LG may have jumped the gun slightly with the website’s publication, given it now redirects to a 404 Not Found page. We may not have long to wait until more official information is revealed. It’s mere months until CES 2015 begins in Las Vegas, where LG could talk more about its plans to bring WebOS back to the mobile world.